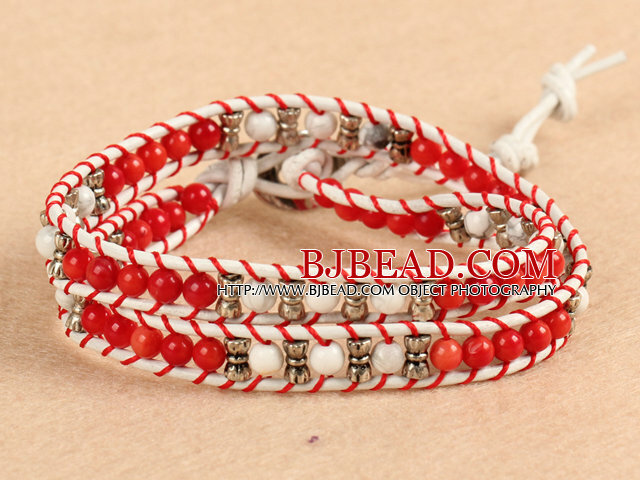 You can find the best price on Trendy Style Popular Double Strands Round Red Coral And Howlite Beads White Leather Woven Wrap Bangle Bracelet With Metal Accessory,We will match any competitor's price for the same quality of Trendy Style Popular Double Strands Round Red Coral And Howlite Beads White Leather Woven Wrap Bangle Bracelet With Metal Accessory!!! 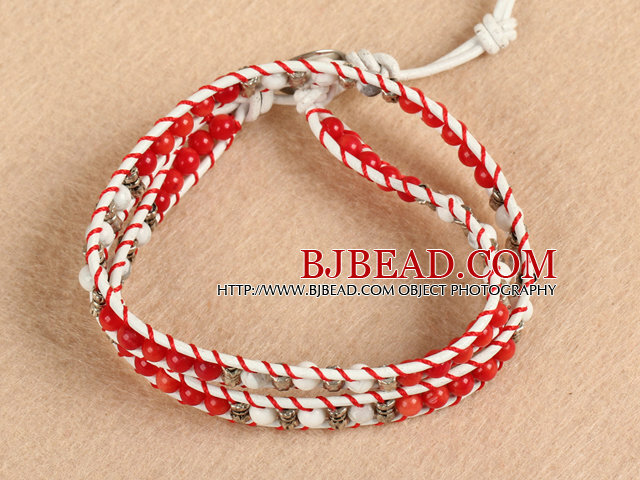 Welcome to buy Trendy Style Popular Double Strands Round Red Coral And Howlite Beads White Leather Woven Wrap Bangle Bracelet With Metal Accessory from Bjbead.com! !